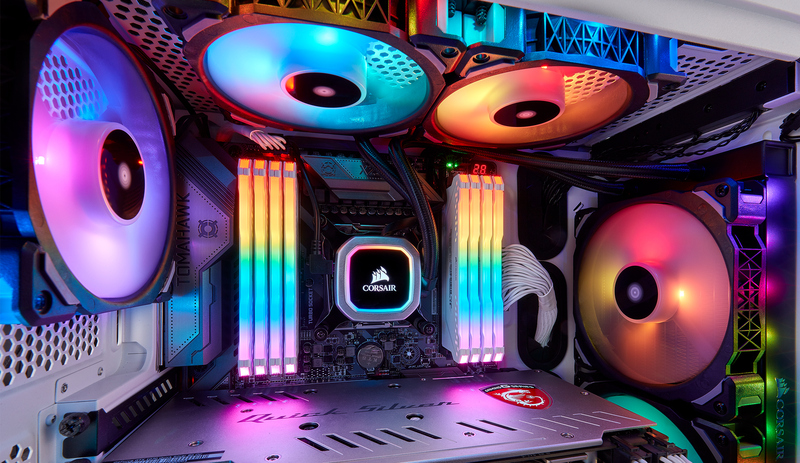 Corsair on Thursday introduced two new closed-loop CPU liquid cooling systems, both of which feature its magnetic levitation fans and RGB lighting. The new Hydro Series RGB Platinum LCSes also feature what Corsair is calling a Zero RPM cooling profile, which stops the fans entirely at low processor temperatures to further reduce the noise levels generated by the PC. 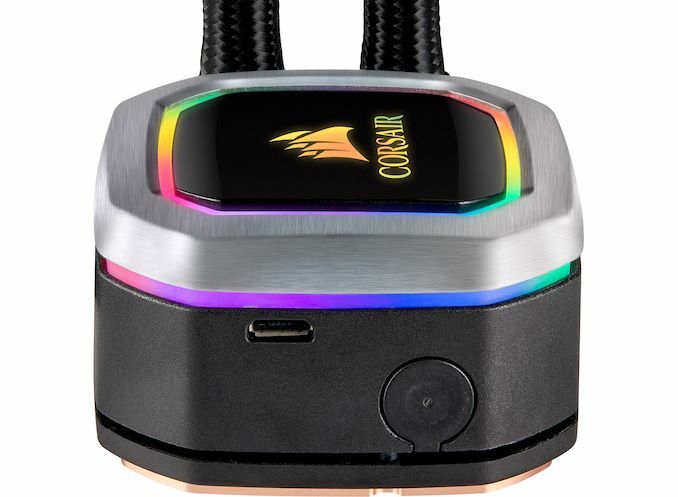 Corsair’s Hydro H100i RGB Platinum and Hydro H115i RGB Platinum use the company’s new pump with a copper base and integrated RGB lighting, as well as new magnetic levitation PWM fans that minimize the friction on their magnetic bearings. 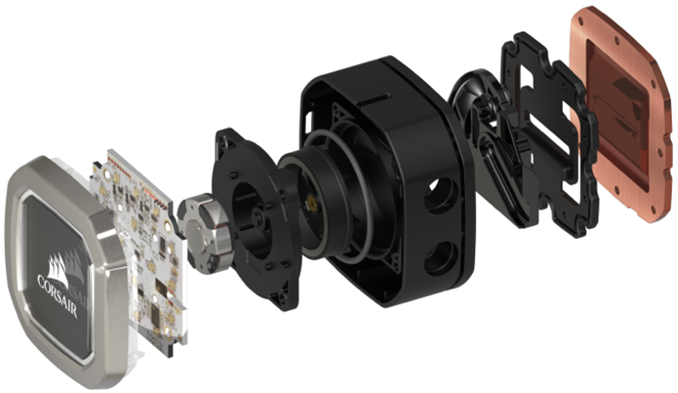 The company’s mag lev bearing promises to generate high airflow and static pressure while making less noise than fans featuring ball bearings. The H100i model is equipped with two 120-mm fans spinning at 400 – 2400 RPM and a 240-mm radiator, whereas the H115i model is outfitted with two 140-mm fans spinning at 400 – 2000 RPM as well as a 280-mm radiator. Corsair does not disclose maximum amount of heat that its new Hydro Series RGB Platinum LCSes can dissipate, but given the fact that the coolers can handle AMD’s Ryzen Threadripper and Intel’s Core X parts, it is safe to say that their thermal performance is well north of 250 W (400 W is a relatively safe bet, but it is not an official figure). Besides AMD TR4 and Intel 2066-pin processors, the coolers also come with mounting brackets for AMD’s AM2/AM3/AM4 CPUs as well as Intel’s 115x-pin chips. One thing to keep in mind when using the Hydro Series RGB Platinum coolers with AMD’s Ryzen Threadripper is that they feature a square base and therefore they cannot cover 100% of the large TR4 IHS surface. This won't prevent reliable operation of these processors, but it remains to be seen how efficient they are going to be in cooling overclocked AMD HEDT products. Modern high-end PC hardware not only has to perform well, but also look good in a bid to attract the enthusiast/modding community. 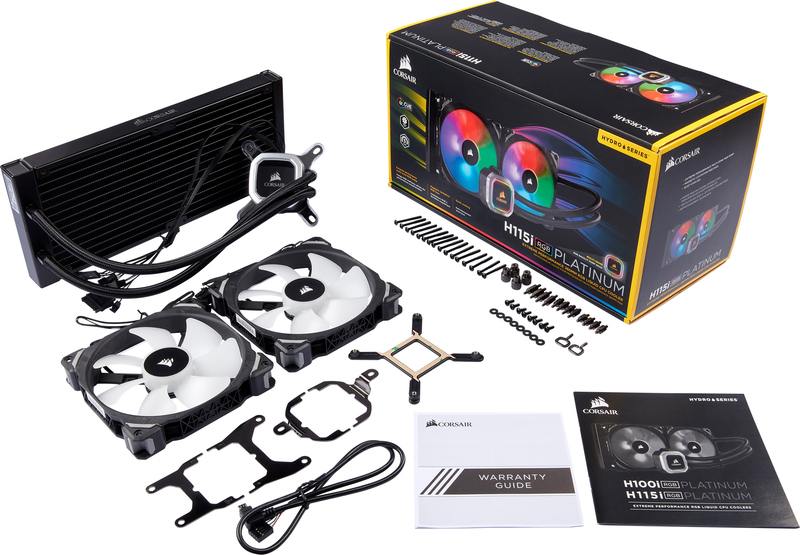 The new Hydro Series RGB Platinum closed-loop liquid coolers from Corsair do just that: they feature 16 addressable RGB light LEDs in the pump and four ARGB LEDs in each fan. The lights can be controlled using Corsair’s iCUE software, which can also adjust pump and fan speeds as well as create custom cooling profiles that automatically regulate speeds in accordance with a range of monitored system temperatures. 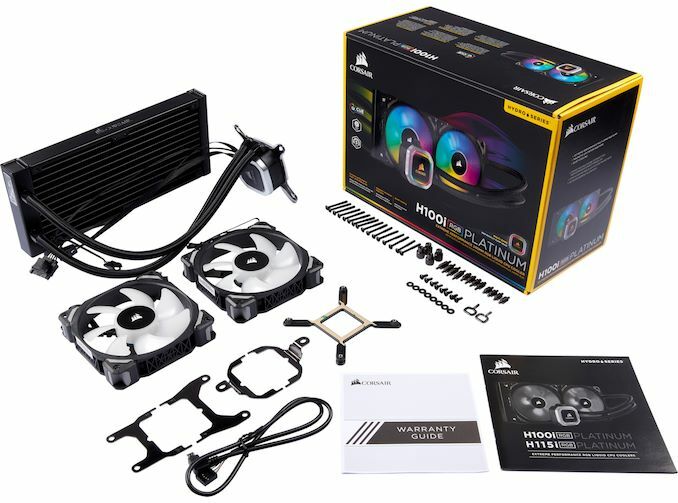 Corsair’s Hydro H100i RGB Platinum as well as Hydro H115i RGB Platinum liquid coolers are backed by a five-year warranty and are available immediately from the company’s resellers as well as directly. The smaller H100i model costs $160, whereas the bigger H115i model is priced at $170. Between lighting and The there should probably be one period and a space as opposed to two periods. "...stops the fans entire at low processor..."
Entire should probably be entirely. "...PWM fans that minimize the friction on their magnetic bearing." Fans is a plural word so the word bearing should be changed to bearings. "...than fans featuring a ball bearing." This is a similar case. It should probably read, "...than fans featuring ball bearings." "...going to be during overclocking of AMD’s HEDT products." "but it remains to be seen how efficient they are going to be during overclocking of AMD’s HEDT products." "The company’s mag lev bearing promises to generate high airflow and static pressure while making less noise than fans featuring ball bearings."